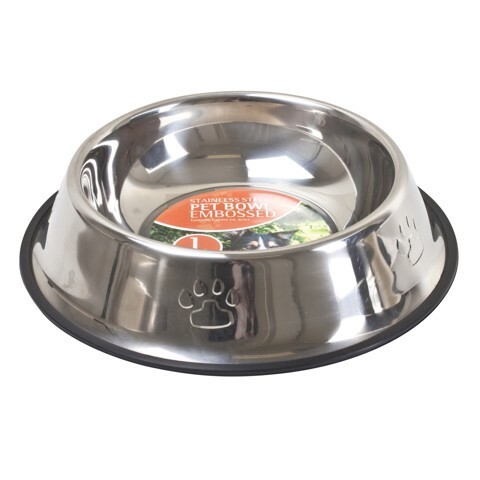 Pet Bowl Embossed St.Steel 900Ml. 29.5cm. Stainless Steel. Stainless Steel | Rubber. 270G Packaging: Bulk Packed with Colour Label.